Weather has a tremendous effect on our daily life. Whether you have an appointment or scheduled a meeting with your client, a shipment on a way or a delivery in transact, a real-time weather app helps you plan in advance or make changes according to predictions to achieve your goal. Mobile customized weather app helps businesses by predicting and alerting about climate to take actions for business or life. With expertise in various industries and technologies, leveraging latest software development best-practices and following international business standards, Concetto Labs has evolved to be a leading Weather App Development Company. With our technical leadership, excellent project management skills, a deep analysis protocol, and ethics including responsibility to deliver projects in-time has helped us carve out our position in the industry. Being a prominent weather app development company, Concetto Labs takes pride in delivering all kinds of custom mobile apps for weather forecast and climate changes. Working on web as well as mobile app development technologies for years, we have gained huge experience in the industry. We have designed and developed bespoke weather apps for varied domains helping businesses to score up their sales value. Whether you are looking for a weather app customized as per your requirements or your business falls in the realm of weather bureau, our weather app development services are here to serve you with exceptional services. Concetto Labs is always passionate to provide a wide variety of custom mobile, android and iPhone app development services. Our experienced weather app developers, well-equipped with latest technologies and development resources, have delivered applications that are manageable, maintainable, scalable and result-oriented. We build robust weather Android apps which bring you detailed weather forecast of your location just in your palms. Never get caught again in extreme weather conditions with our personalized, mobile weather app development for iOS. Looking to transform your idea into a real time app for predicting weather? Opt our customized weather app services. Leveraging cutting-edge technology, our weather app developers build climate applications having plenty of functionalities including hurricane tracking. 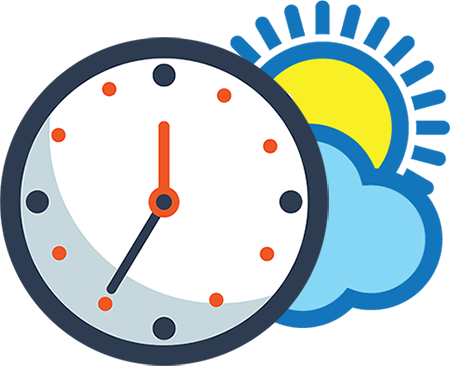 Save time and money with our most advanced weather app development services for your hassle-free business processes. Why Concetto Labs Is the Best Choice for Weather App Development? We tend to provide services as per the changing needs and tastes of customers. Concetto Labs takes pride in providing high ROI for apps. Why We Are Different from Other Weather App Developers? With our expertise in top-notch technologies, we have developed most engaging and real time apps for businesses. Concetto Labs is always one step ahead of market to bring the most robust business app solutions. With more than 200+ apps, 500+ websites and 1000+ loyal customers in our portfolio, we have expanded our services over the continents. Value provided by Concetto Labs – a mobile weather app development company goes beyond than just man-hours.